Take the whole clan on an exciting trek in and out of town on the 2016 Lincoln Navigator near Slidell, LA. Not only does this ride offer generous space for your crew and your gear, but it also presents tech-savvy perks that you will surely enjoy. 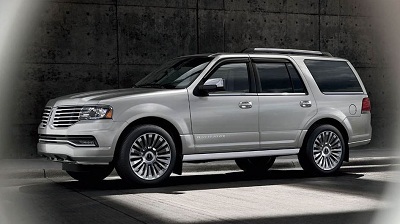 Get to choose from either the Select or Reserve trims on offer from the 2016 Lincoln Navigator. Standard on the Select are attractive 20-inch alloy wheels, which can be upgraded to 22-inch wheels for drivers of the Reserve. In terms of road performance, standard equipment on this full-size SUV is a 3.5L twin turbocharged V6 EcoBoost engine, which produces up to 380 horsepower and 460 lb-ft of torque. You get 16 mpg city and 22 mpg highway, according to EPA ratings. Posted on December 28, 2016, in Business and tagged 2016, comfortable, lincoln, navigator, slidell. Bookmark the permalink. Leave a comment.